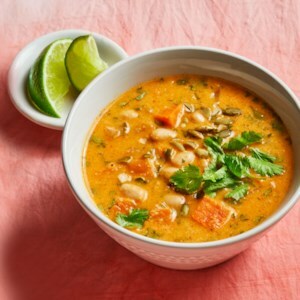 Find healthy, delicious diabetic soup recipes from the food and nutrition experts at EatingWell. 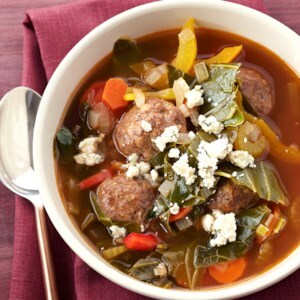 Homemade meatballs flavored with garlic and rosemary take center stage in this simple 1-hour soup recipe. 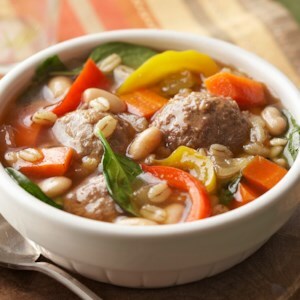 Great Northern beans and barley add a healthy dose of protein and fiber to this hearty and filling dish. 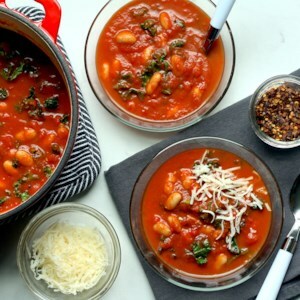 Garlicky kale and creamy white beans elevate simple canned tomato soup into a 10-minute lunch or dinner that really satisfies. 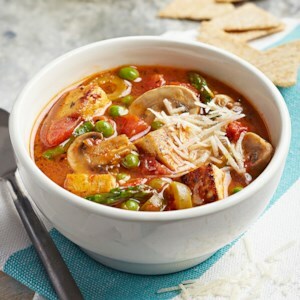 Use a soup with tomato pieces for a heartier texture. Look for a brand that's low- or reduced-sodium, with no more than 450 mg sodium per serving. 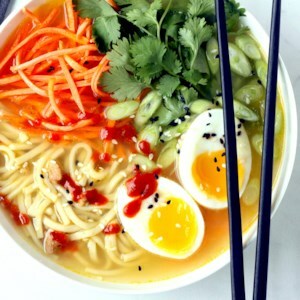 Transform canned chicken noodle soup into quick ramen bowls by adding fresh ginger, crunchy vegetables, herbs and a jammy soft-boiled egg. 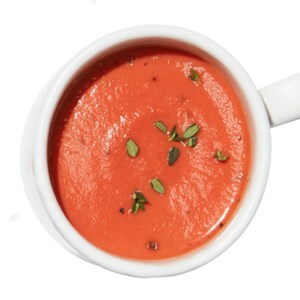 Look for a low-sodium soup that has 450 mg sodium or less per serving. 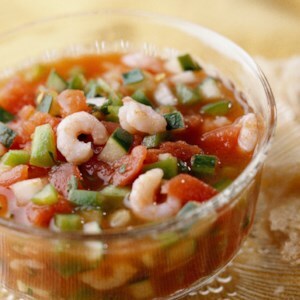 Gazpacho is a delicious cold appetizer or side-dish soup. We've added protein to this version to make it more filling. 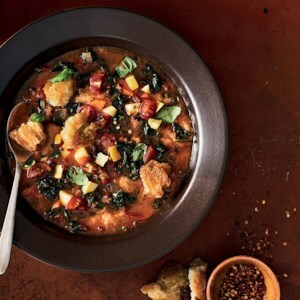 Inspired by Tuscany's legendary pappa al pomodoro, this soup is a great way to use stale bread. The traditional version doesn't contain kale or a topping of squash and grape tomatoes, but why not? Long-simmered marrow bones give this soup its luxurious flavor. The texture of the finished soup is hearty--bordering on a soupy risotto. 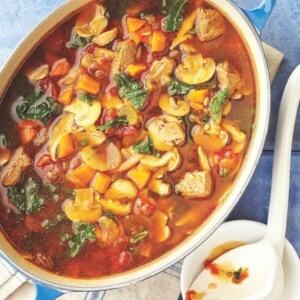 Prep and freeze all the ingredients for this homey classic ahead of time, and it will be ready to cook and serve any night of the week--no lengthy simmering needed, thanks to the multicooker. Freezing the ingredients in a round container creates the perfect fit for an easy transfer into your pressure cooker without having to thaw first. 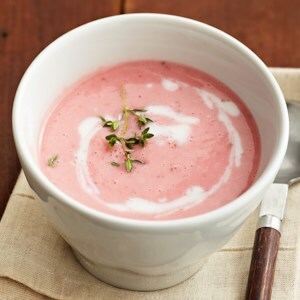 This chilled creamy shrimp soup delivers slices of cool cucumber and zesty radishes in each bite. 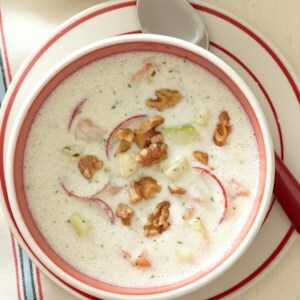 Topped with toasted walnuts, it's a refreshing lunch on a hot summer day. 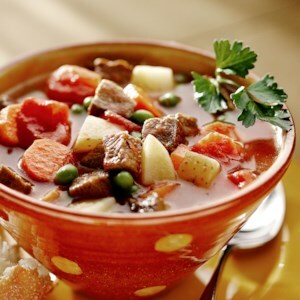 Less than 30 minutes of prep is all that's needed before this beef and vegetable soup goes into the slow cooker. 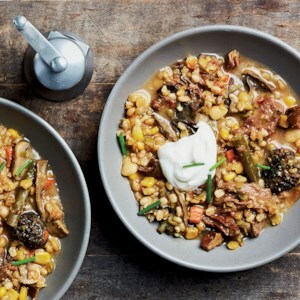 It's a warm, hearty, one-bowl meal for fall and winter nights. Tofu has a reputation for being bland, but when marinated in Italian seasoning for up to four hours, it's anything but in this veggie-packed soup. 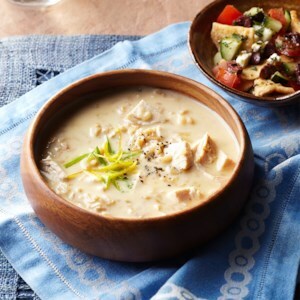 Russet potatoes turn tender and soft in minutes in a pressure cooker, so you can make this comforting soup quickly on busy weeknights. 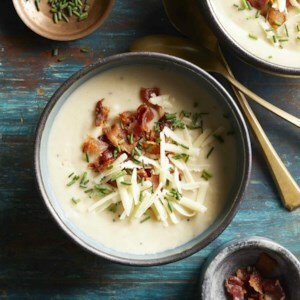 Garnish with the classic potato soup fixings--bacon, scallions and melted Cheddar cheese. 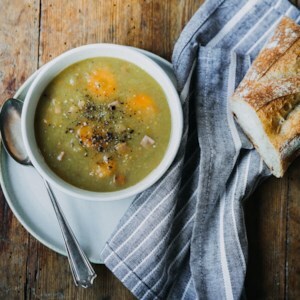 Ready in one hour, this soup will warm you up on a cool fall day. 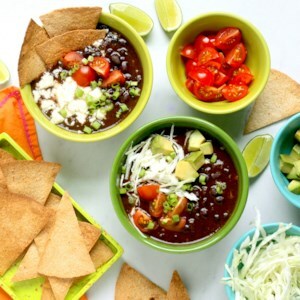 Hominy, onion, garlic and chile peppers are hallmark ingredients in this soup from Mexico. 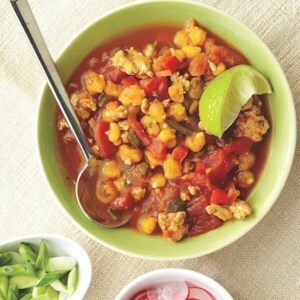 Posole is often made with pork or chicken, but this version uses flavorful turkey breast. 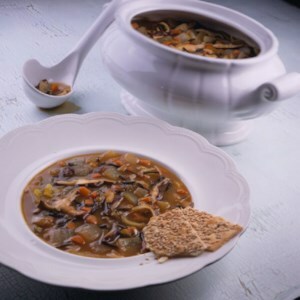 Kale adds vitamins and an enticing cabbage-like flavor to this mushroom and beef soup. Be sure to use fresh kale as it can become pungent if stored too long.